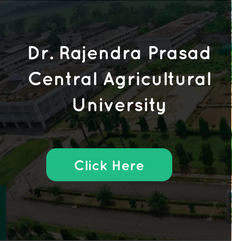 Rajendra Agricultural University, now Dr RPCAU, Pusa has established a Training and Placement Cell in the year 2006 to provide a platform to the students for their success and better placement opportunities. The placement cell acts as an interface between the students and the various organizations for the summer internship, project training as well as final placement since its inception. Nearly more than 50 major companies like Dhanuka Agritech Ltd.; Excel Crop Care Ltd.; Pest Control India Pvt. Ltd.; Punjab National Bank; Syngenta Pvt. Ltd.; Basix; National Bulk Holding Corporation; BASF India Pvt. Ltd.; Godrej Hi-care Ltd.; Axis Bank; Panjab; Bank of India; Canara Bank; Crystal Crops Protection Pvt. Ltd.; HDFC, SBI; Tata Chemicals; Dhanya Seeds; HMS Agro Protein Limited; Agakhan Rural Support India; Mahindra Samtridhi; PAN Seeds; Kolkata; Jahanvi; New Delhi; NCML; Mumbai; NBHC, Mumbai; and Assed, New Delhi, Yara Fertilizers Lt. Mosaic Fertilizer Ltd. , Techno serve India Pvt. Ltd., etc provides summer training, project training as well as final placement to the students through Off-campus or On-campus. Industrial Visit: Students are exposed to real problem of Agriculture and Agribusiness by way of making visit to the concerned organizations. Summer Internship Projects: Internship is of seven weeks. It is learning time of ground realities. It provides an excellent opportunity to the students to have their hands on experience. Project Work: The project work consists of four months attachment with industries, various institutions and thereby learning the process of application of management tools and techniques by way of interaction with all stakeholders such as top level management, marketing, agriculture officials and farmers. Seminar: Seminar, lead lectures and personality development programmes are organized.